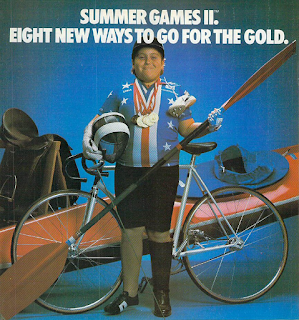 Oh my lord, they actually went with an upgrade of the hilariously horrid advertisment used for the first Summer Games... Well anyway, in what has become a familiar formula for my writing comparisons of Epyx's multi-event sports games, Part 1 left us with a bunch of scores given for the game's playability, and now we have to deal with the game's graphics, sounds, and the overall scores. You might already know how this is going to end, but the real question here is, are there any properly good options for the original? Sure enough, that is a question that could easily stand as the conceptually central one for the whole blog, and a fine question to pose at the beginning of the second half of the last comparison article of this season. 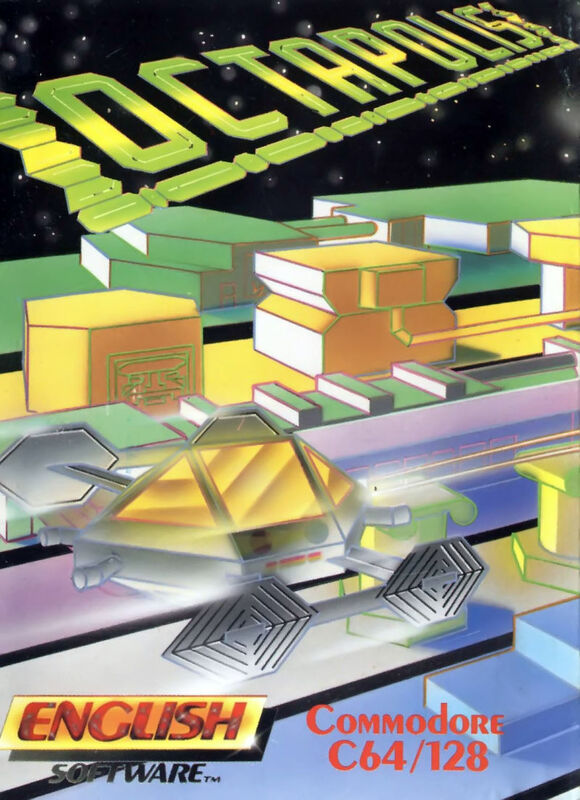 Created for the Commodore 64 by Chuck Sommerville, Jon Leupp, Kevin Norman, Michael Kosaka, Larry Clague and Scott Nelson, with music by Bob Vieira. Tape loader by Gary J. Sabin. Converted for the Apple ][ computers by in 1985 John Stouffer, Jeff Webb, Doug Matson, Greg Broniak, Tim Grost, Matt Decker, Vera Petrusha, Ken Evans, Pat Findling, Chris Oesterling and Dr. Keith Dreyer from K-Byte. Converted for the IBM-PC compatibles in 1986 by Phil Suematsu, Don Hill, Jeff Grigg and Jimmy Huey from Designer Software. Converted for the Amstrad CPC and Sinclair ZX Spectrum by Einstein, with graphics by Steve Hawkes. Released through US Gold in for the Spectrum in 1988 and for the Amstrad in 1989. Converted for the Commodore Amiga and Atari ST/STe by Creative Materials: Graphics by Adam Steele; Music by Dave Lowe; Sound effects by Phil Morris. 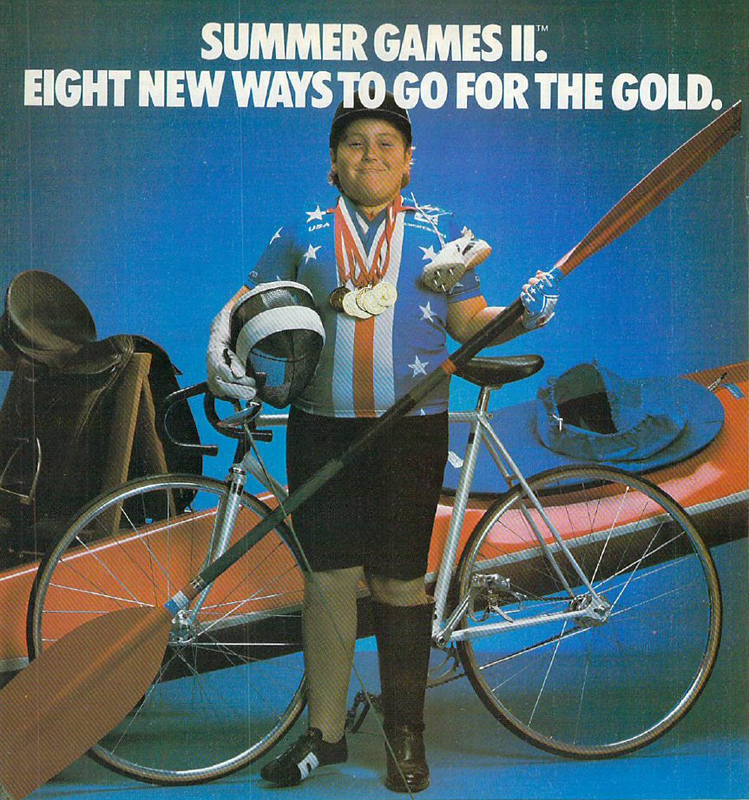 Released by US Gold in 1992. Here's another two-parter for all of you Epyx's Games series' fans. 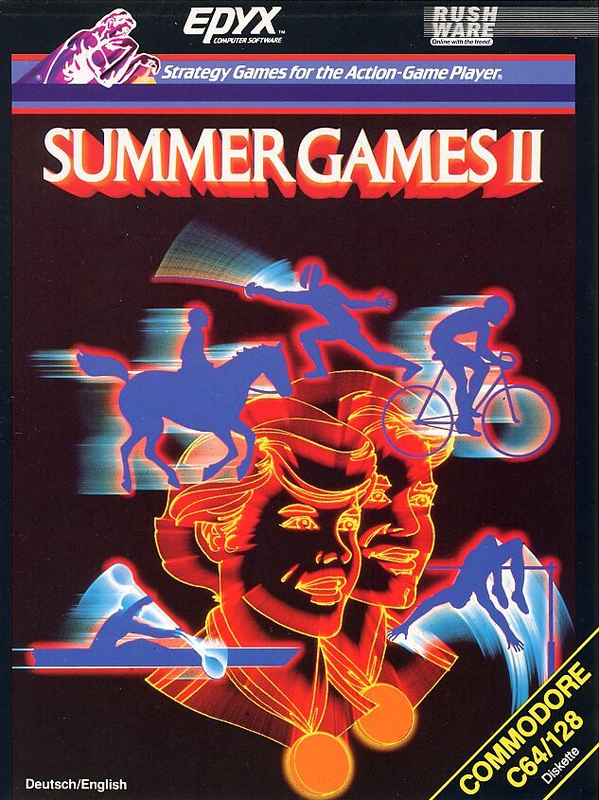 As I mentioned long ago in the entry of the first Summer Games, I do enjoy this one a bit more, so I thought I might as well start on both games simultaneously. And as you can see, that plan went well - it's now been a couple of years since I finished up with the other one. Luckily for me, there are quite a bit less versions of Summer Games II around, than the previous two games from the series that I wrote about, so this was somewhat easier to work on; it just took a longer while to actually bother to start working on it. But as it is the last game comparison for this year, I hope it'll do to keep you satisfied until I decide to get back from this year's summer holiday, whenever that may be. Designed by Jukka Tapanimäki for the Commodore 64. Programming, graphics and sound effects by Jukka Tapanimäki. Music by Wally Beben. 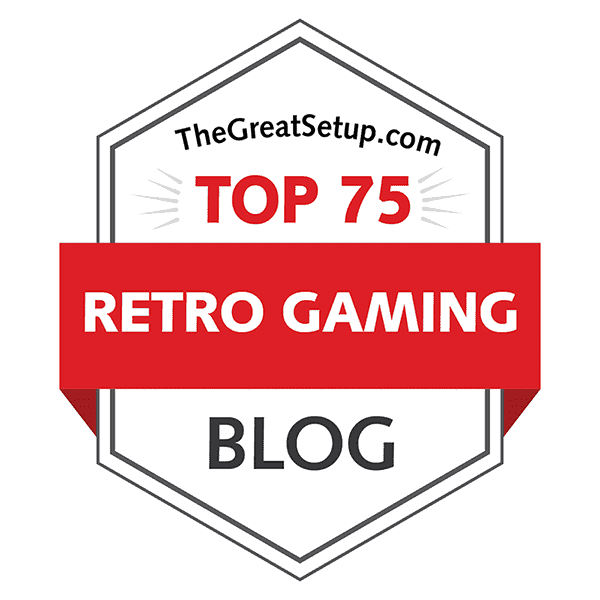 This season's final entry for the Finnish Retro Game Reviews series will be more of a history lesson, rather than just another "regular" review that I have been doing for the MSX games. Jukka Tapanimäki was one of the most notable personalities in the Finnish gaming scene, having been one of the more regular reviewers for both major computing magazines of the 1980's: MikroBitti and C-lehti. He also published a book about writing games for the C64 in 1990. Of course, most of you outside of Finland will know him for his classic C64 games, Netherworld and Zamzara, both released by Hewson, and both of which I might very likely talk about in the future of this series. However, for this entry, I chose Octapolis, because it was his first commercially released game, and more particularly, his first game released outside of Finland. That, and Jukka's story deserves to be begun from the beginning. Developed by Distinctive Software, Inc. Designed and programmed by Mike Benna, Donald A. Mattrick, Kevin P. Pickell, Brad Gour, Bruce Dawson, Amory Wong and Rick Friesen. Graphics by John Boechler and Tony Lee. Music and sound effects for the Commodore 64 by Patrick Payne, and for the 16-bit versions by Patrick Payne and Rick Millson. 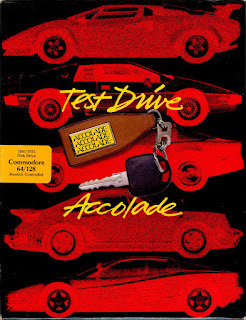 Originally released by Accolade in North America for Commodore 64, Atari ST, Commodore Amiga and IBM-PC compatibles in 1987. Distributed in Europe by Electronic Arts. 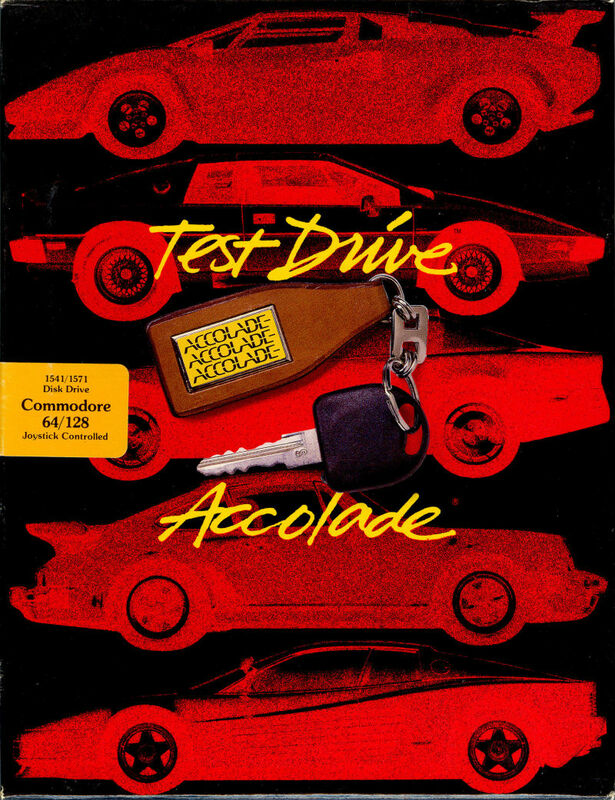 Converted for the Apple ][ computers in 1988 by Distinctive Software, Inc. with additional coding by Allan Johanson and Esteban Ahn. Conversion for the NEC PC-9801 published by Pony Canyon Inc. in 1989; further credits are unknown. In the light of attempting to keep my word on doing the comparisons teased in the teaser picture I posted in last August, I shall have to make a little confession. The last one missing from the picture is, of course, Broderbund's Wings of Fury, which has a couple of conversions made for machines that I wasn't aware of at the time of compiling the teaser picture, and these particular machines are such that I have had no luck so far in either finding, or getting to work through emulation, and purchasing them through eBay for this single purpose would be, frankly, a tad idiotic. But since the comparison of Wings of Fury was a pick from a small list of suggestions made some time ago by my bandmate Jaakko, I decided to pick one that I am only barely more able to do from his list.